It's a battle for the road! 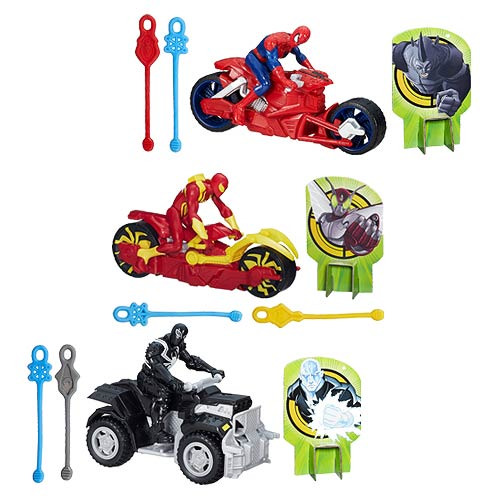 The Ultimate Spider-Man Web Warriors Slinger Vehicles each include awesome web slingers on board each one that really launch, plus a figure seated on the back. Get ready to drive the bad guys crazy with this awesome assortment! Ages 4 and up.